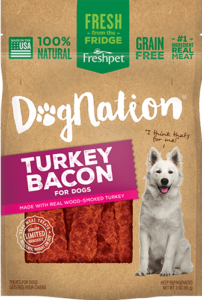 Our dog would sell his soul for these turkey bacon treats! 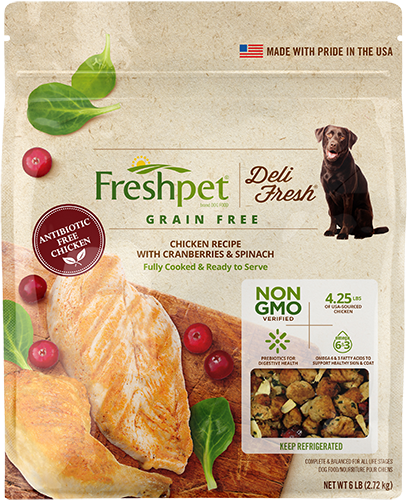 Our 11 year old basset hound Columbo had a sensitive stomach until we discovered Freshpet about a year ago. 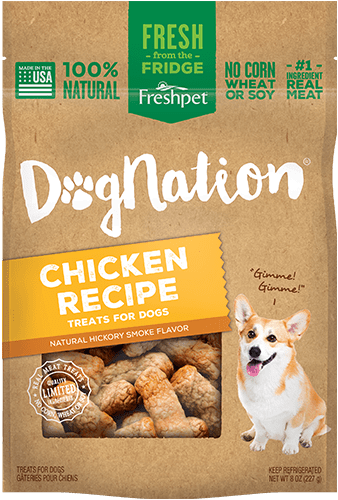 After he eats his Freshpet meal (combined Vital and Dognation Sweet Potato Treats), we give him a couple of turkey bacon strips. He takes off running with them in his mouth, gulps them down and comes back for more, planting himself in front of the refrigerator until we relent!